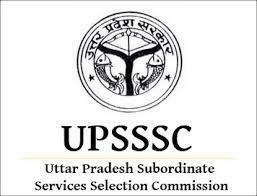 Uttar Pradesh Subordinate Service Selection Commission (UPSSSC) has invites Application from Indian Nationals for various Posts of Assembly/ Council Guard, under Uttar Pradesh Secretarial department & for Forest Guard under Chief Forest Conservator, UP Forest Department through General Recruitment Test 2016. Online Application will Start from 09.12.2016. Other Important Details are listed below………. Age Limit : 18 – 40 years as on 01-07-2016 (Age Relaxation will be provided as per Govt. Rules.). For More Details Please Refer Advertisement given below……. Educational Qualification : Candidate must have passed Intermediate from UP Board Or any equivalent exam approved by Government. For Forest Guard : Pay Band Rs. 5200-20200 with Grade Pay Rs. 1900/-. Application Fee:- Rs. 125/- for General & OBC Candidates and Rs. 65/- for SC/ ST Candidates. PWD Candidates are exempted from Application Fee. Candidates can submit Application Fee by mean of E-Challan & I-Collect. Candidates will be able to submit Application Fee from 09.12.2016 to 28.12.2016. Selection Process : Selection for the above mentioned posts will be based on Physical Efficiency Test, Physical Measurement Test, Written Exam & Interview. Selected Candidates of Written Exam & Interview, will be called for PET/ PMT/ Medical Test. How to Apply : Online Applications are applicable, No other Mode of Application will be accepted. Candidates have to apply online from the Official website of UPSSSC. After Checking Eligibility Criteria, Age Limit, Qualification candidates can apply online through UPSSSC Online Application System. Candidates can Apply online on http://upsssc.gov.in/ from 09 December, 2016 to 26 December, 2016.